Discover The Secret To Unlocking Your Potential By Understanding The Power Of Your Enneagram Subtype. Transcend your hidden insecurity, fear, and shame and become the empowered person you are destined to be. We all are. You’re not alone. It’s a prison of your own making, but you created it so long ago you couldn’t possibly have known. Habits of thoughts, emotions, behavior and attention. Habits that formed and imprinted from childhood, based on behavior and strategies that worked long ago. These habits are great for navigating through life… until suddenly they’re not. You run into a situation that isn’t friendly to your primary strategy, and all of a sudden you’re reminded (or told for the first time) that you see 360 degrees of reality through a narrow frame. A very narrow frame. This habituated way of experiencing life helped you survive and get somewhere, but in adulthood it becomes an invisible prison. If all you have is a single coping strategy, then all the world becomes distorted to match the only “coping tool” in your toolbox. But what if you could see a bigger slice of that 360 degrees of life? Have you ever been in a situation where you feel other people got the memo that you never did? Maybe they’re better at getting other people to like them, or they’re naturals at leadership, or they just seem to know everything, or they’re super compassionate and kind. Conversely, do you get frustrated when something is so obvious to you it’s painful but a friend or family member (someone close to you) is just blind to it? A roadmap tells you so much useful information. Where you’re at, where you’re headed and how to connect the two points. But it also tells you when you’re off trail, where potential danger lies, and gives you an approximation for how much further you need to go. When other people seem to ‘get the ‘memo’, it’s because they have a different starting point on their journey than you do. But it doesn’t matter where the starting point is. No matter who you are, you need a map to see the whole picture. 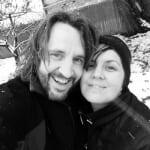 For years we’ve talked about creating an Enneagram program. It’s an incredibly powerful system that has jettisoned our personal development to places we didn’t realize possible. There was one hitch – we’ve benefited from the system, but we aren’t experts in it. And we don’t like to teach stuff unless we have a unique angle with massive growth potential woven in. We were introduced to Beatrice by listening to her on a podcast interview. Afterward we both remarked, “If Personality Hacker was going to teach an Enneagram program, this is exactly how we’d want to teach it.” She was so clear and approachable without losing any substance or accuracy. We realized we could hatch a secret plan to find Beatrice, connect with her, and invite her to create a program with us. Long story short – our long-held vision of offering an Enneagram program at Personality Hacker is now a reality… thanks to Beatrice and her awesome work. 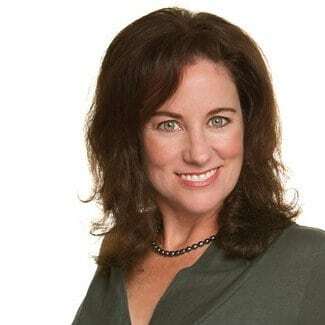 Beatrice is also a published author, has been a psychotherapist for nearly twenty years, a coach, business consultant and Enneagram expert for nearly thirty years. She has created a program that we believe will really help you on your personal growth journey. 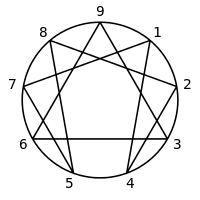 What Makes the Enneagram So Powerful? The Enneagram is an ancient system of wisdom encoded into a nine pointed symbol. Each layer of the symbol has meaning, which Beatrice goes into in the program. The Enneagram looks at human functioning based on three centers of intelligence: head, heart, and body. Within these three centers of intelligence are three different type patterns of how you live within that center of intelligence. 3 centers X 3 type patterns = 9 Types. …and you learn how you can use this information in personal growth. Each of 9 types has three versions based on which instinctual drive is most prominent in your experience. 9 types X 3 instinctual drives = 27 Subtypes. You have the freedom to break out of habits and manifest higher potential. To become more of who you are instead of being constricted by old habits associated with your personality. …and a lot of information about the subtypes. Dive even deeper into the 27 subtypes. “Enneagram Roadmap” is a 22 Session deep dive into the Enneagram personality system, the 27 subtypes, and how to use your Enneagram type for your personal growth journey. 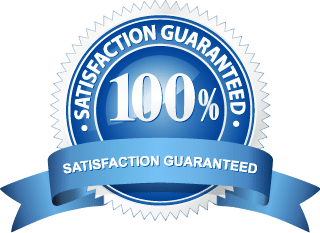 We have set the tuition at $497 to cover the full value of the program – and also make it accessible. This is a program intended for application and growth. This is not a program made simply for curiosity of the system. Of course, you can use it that way and it will meet that need. But that’s not its intended purpose. The intent of this program is to apply the information and grow as a person from greater awareness of your idiosyncrasies, strengths and blindspots. You will get out of this program what you put into it. Learning more about type systems is fascinating, but it isn’t growth. Most of us can do it in our sleep – there’s intrinsic reward to learning more about ourselves and models. But if you aren’t out of your comfort zone, you aren’t growing. And this program is intended to give you an insight into what you cannot see, what’s outside of your frame. Expanded awareness gives you more opportunities to watch yourself unconsciously react and then choose a different response next time. That means a journey into unknown territory, which can be scary. But if you have a roadmap, the journey of growth doesn’t have to be scary. You have a lifeline. You have choice and the ability to navigate your way out of the prison. When you join “Enneagram Roadmap,” you get 30 FULL DAYS to decide if it’s the right fit. If for any reason you’re not happy with your purchase, let us know and we’ll make sure you get a full refund.